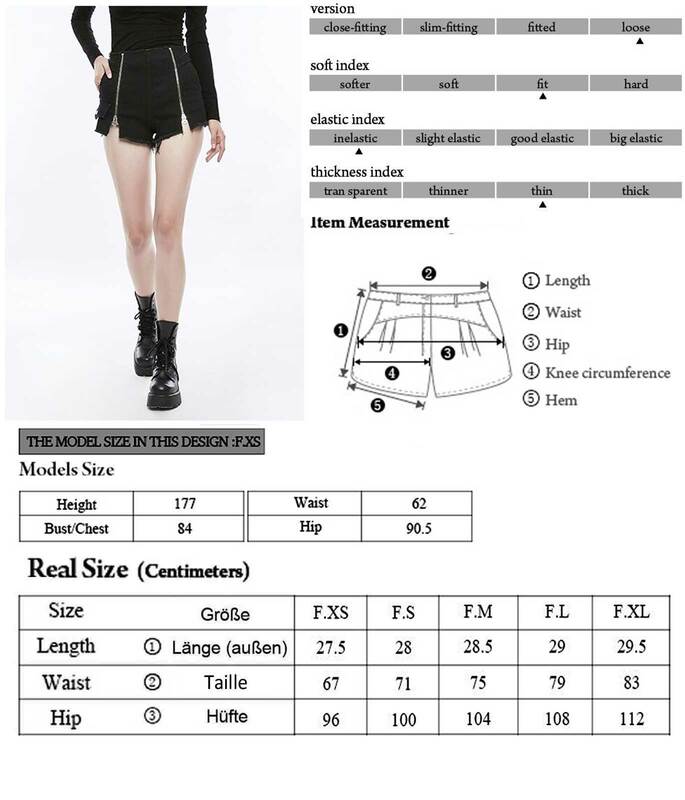 Deep black jeans shorts by Punk Rave. Strong denim fabric. High waisted cut with cropped legs and fringe style. 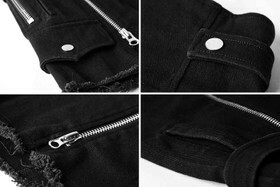 Two silver front zips. Deep black jeans shorts by Punk Rave. Strong denim fabric. High waisted cut with cropped legs and fringe style. Two silver front zips, to be opened up to the top. Side zip for slipping in; two side straps with snaps. Back with two pockets. Perfect with dark tights.